Passion for music is no secret to industry mogul Amy Fleisher Madden. Her prominence on this side of the field is undeniable–her list of accomplishments only seems to grow by the day. One of her greatest ventures, Fiddler Records, brought you kickass music for ten years before coming to an end, but she didn’t stop there. 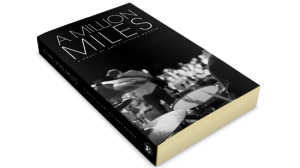 Her latest project, A Million Miles, will find a more comfortable home on your bookshelf than your CD collection. The novel takes you on the road in the most raw way you’ve seen yet. The glitz and glamour of rock ‘n’ roll excess is traded for tales of what really goes down in between set times and bass lines. We were so stoked on the book, we stole a minute of Fleisher Madden’s time to chat about what’s went into her remarkable career, her new label Animal Manufacturing Co. and the real story behind resident tour pet, Orangecat. 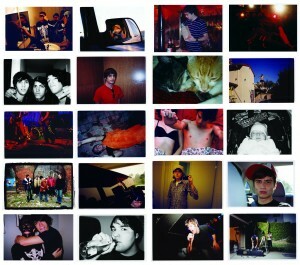 So you started your life in the music industry really young… Were there any obstacles you faced because of that? I think I had quite a few people give me the, “You’re just a kid,” kind of thing, but I proved myself pretty quickly and it went away. I think if you just take yourself seriously and take what you’re doing seriously, people will realize what’s up. I mean, if you, like, show up at fifteen and act like an idiot you’re not gonna be around very long. And you started by passing out your magazine at a club. Was that the same club you started booking shows at, like in the book? Yeah, there was really only one venue in Miami. There were a couple places that bands could play that were not really all ages and not really punk rock friendly, but there was a club in Miami called Cheers, that was like my second home. That’s awesome. When you were first learning to book shows and everything, what was the biggest thing you learned first? That’s a great question. The first thing I learned… I learned to put bands that draw the most on last. I would do this thing where–I started with local shows, so it would be like my friends’ bands, and in my head I would put like four bands on a show and be like, “These are all so great, and everybody’s gonna have a great time!” Then I wouldn’t even think about like, “Well I’ll put the biggest band on second,” you know? Then by the time the third band plays everybody would leave. I mean it’s like super common sense, but there’s no handbook. [Laughs] That was trial by fire, for sure. That was the first big lesson I learned. Yeah, gotta get the experience really, in the music industry. No one really tells you what to do, there isn’t a course. No, they just throw you in the water. Was there a real Crimson + Clover in your life? No, Crimson + Clover is like a [combination] of every band I’ve ever known ever. I just squished them all into five little characters. I used to go on tour with a lot of bands that were on Fiddler, on my label, but it didn’t really happen how it happened in the book. So which moments of the book are closest to your personal experience then? Was the night with the dancers and Needleman getting beaten up? Any truth to that? [Laughs] You know it’s weird, because I want people to enjoy the stories for what they are, and I feel like if I start like pointing out what was true and what wasn’t it kind of takes away from the experience of the book. There wasn’t one specific thing that happened, but I always had these crazy, crazy nights in New Orleans. Like, that we would end up–and I’m not a fan of strip clubs. I’m totally fine with strippers, totally fine with strip clubs, I just don’t want to go there. I would end up there, like, “Okay everybody’s going, I guess I’m going.” Strange things would happen, [and] it was always New Orleans, so I felt like I had to write this like crazy thing to really match the authenticity of how crazy things got, you know? What about Orangecat? Did you ever have a cat on tour with you? [Laughs] That’s awesome, because I wrestled with leaving it in or not. I was like “Is this insane? 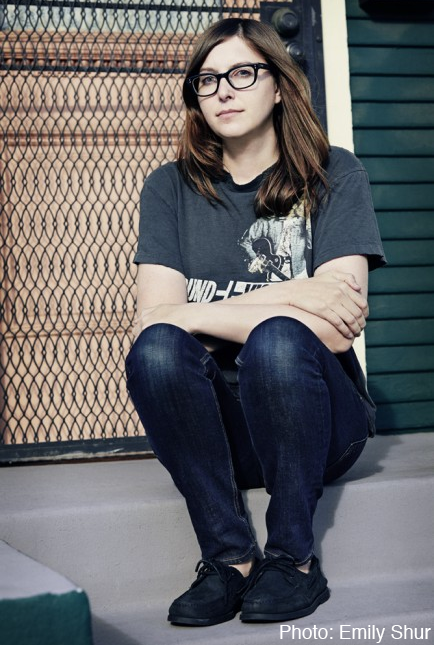 Are people gonna think that I’m just like this crazy cat lady?” Which I kind of am. You’ve gotta embrace the cat lady! I’m embracing the cat lady! I have a few cats now, and it was really weird, I was like “Should I fictionalize Orangecat?” At first his name in the book was Yoda, and then all my friends that read it, they were like “Just name him Orangecat, it’s clearly Orangecat.” So Orangecat is now living forever in the pages of my book. You had a Kickstarter campaign for the book, and you raised more that double your goal I saw? That’s incredible, were you expecting that amount of support? What was your reaction to that? I was not expecting that much support. I was playing with the idea of even doing a Kickstarter, and I thought it was just the most effective way to do a preorder. You know, it was the easiest way to bug all my friends. Slowly, I started to realize I knew a lot of people from all different chapters of my life, like high school friends, and college friends, and band friends, and now I’m in advertising, advertising friends. It was just like people showed up. I mean, it’s not like I raised a million dollars or anything, but I wasn’t expecting to sell so many books. Yeah, it’s overwhelming and wonderful. And writing is really like a solitary thing, and you’re by yourself all the time, and then all of a sudden it’s like, “Wait, all these people care about what I’m doing, this is so cool!” [You] stop feeling so alone. It was really great. Where did the motivation come from for writing it in the first place? I started writing it a couple years ago. It was almost just like memories started blurring together and I was like, “Well, I better start writing some things down.” Then I realized I wanted to make things more fun, like more of a narrative as opposed to like, “And then we went here, and then we went here.” It was just something that I worked on in between ad jobs and campaigns and whatever. Then I had this weird health problem, and I had to have my thyroid removed and I had a cancer scare. Super scary. It was like one of those things where you’re just waiting on tests for like weeks and weeks and weeks and weeks, and I was like “You know what? I don’t know what’s gonna happen, I better hurry up and write this thing.” And I did it, and I wrote it. Well I’m sorry you had to go through all that! Thank you. The book [happened] in my life in the middle of like a crazy medical odyssey that is now thankfully over. But yeah, they kind of coincided big time. The label in the book is based off of Fiddler Records, which isn’t around anymore, but you already started a new label–among other things, I saw it was a publishing company as well. 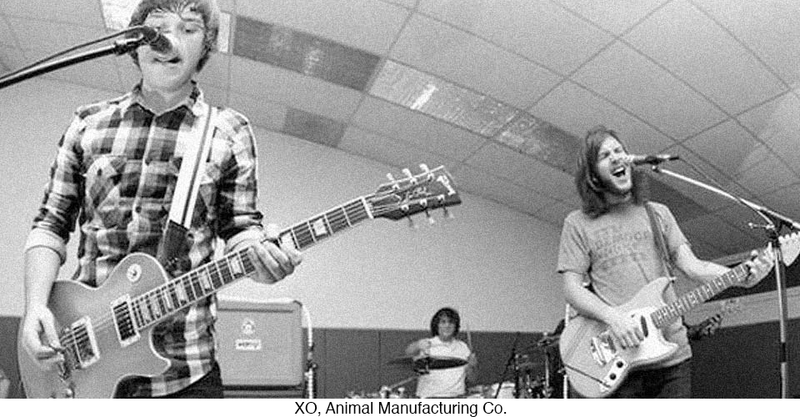 What sparked your interest in returning to a record label with Animal Manufacturing Co.? That’s great! It’s easy to get burnt out in this field. When you get burnt out and you leave for a little while, and you take a break, you forget how special it is and how lucky we all are to actually be aware of this thing that we’re all aware of. Now that I’m in corporate business mode and I meet people that are my age and they like music and whatever, but they were never really involved in the quote-unquote scene. I realize how cool it was to grow up with a community of people like, you know, friends that you make across the country and around the world just because like, “Oh, Jimmy Eat World is my favorite band too!” You’re friends forever because of it. We’re lucky ones because of it. Are there any new projects on the new label you have on the horizon? Really the book is super big for me to take on, it’s a big project, and that is coming out the same time as I’m doing Recover EP that was on Fiddler. I’m putting that out on vinyl. That’s coming out at the end of the month. The Recover record was pretty hard to like give birth to, that took a lot of like, “What are we gonna do, how’s it gonna look, do we change anything?” The book and the Recover vinyl are keeping me busy, for sure. Yeah, better to perfect a couple things than start a million projects and not have time. Yeah, I have to be really careful because I’m not as energetic and crazy as I used to be. I’ll be like, “I’m gonna do this, and then I’m gonna do this and then I’m gonna do this!” And then I realize, like, “Oh my god, when am I going to do this?” So yeah, have to be real slow with the process of “Okay, this is gonna come out then, and then I’ll do that.” I have to be an adult about it. 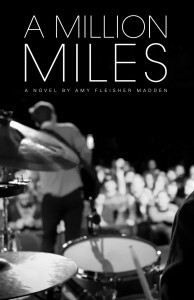 Do you think you’ll ever write another book like A Million Miles? I would love to. It’s already started happening, there may be a sequel in the works. The adventures of Maddy may continue with her days in Los Angeles and her new job. Yeah, I would love to. I’m just going through the process of every part of publishing. Most writers, they write a book and they hand it off to somebody and then they’re like, “Okay, edit this and publish this.” And now I’m like editing myself. You do all the work for it and everything yourself, the editing and everything? Publishing? I worked with three different editors on the book, because it’s just not a good idea to self edit. But all the publishing legwork is me, which is a huge learning experience. What will the next book be on, you think? I think the next one would be more about working in Los Angeles in the music industry. Will Keiran be following her out there? You know, I haven’t decided what will become of Keiran. I really haven’t mapped it out yet. We’ll see. For a closing question, do you have any advice for people just starting in the industry, or looking to get into it? My best advice would be just start. People have this way of thinking about doing things, and talking about doing things, and then researching how to do things. All of those things are great, especially the research aspect, but until you really jump into something, feet first or head first, you don’t really know anything about it. I’d equate it to, maybe because it’s Veteran’s Day, but it’s something like reading a book about war versus joining the army. You know, if you want to be in music, be in music. If you want to write a book, sit down and write a book. That’s really my best advice.